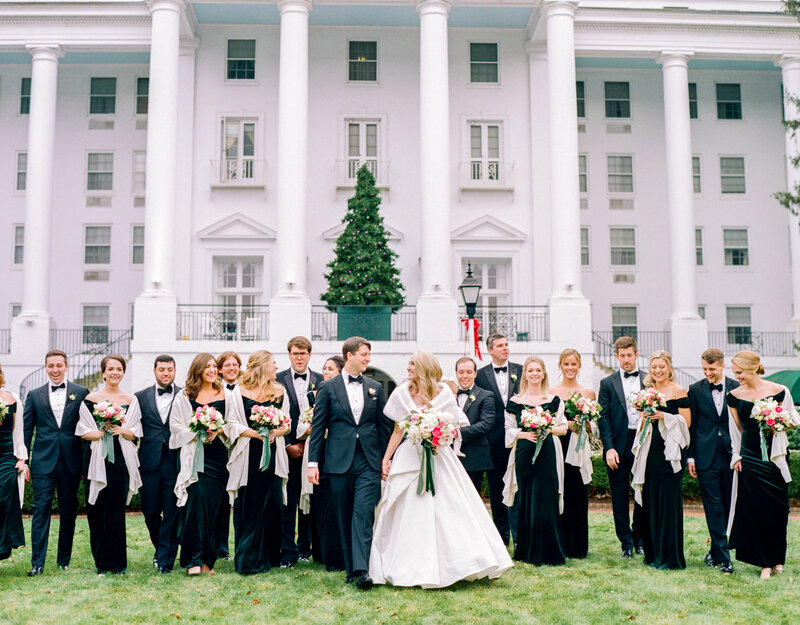 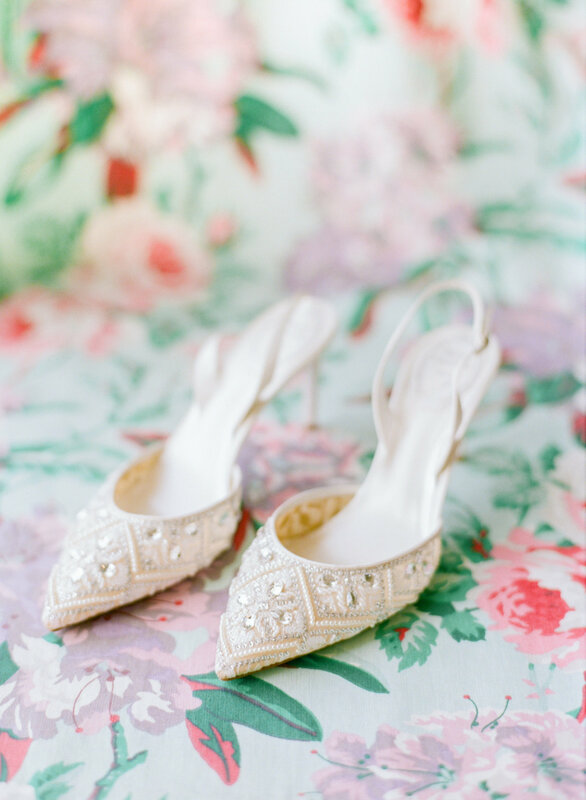 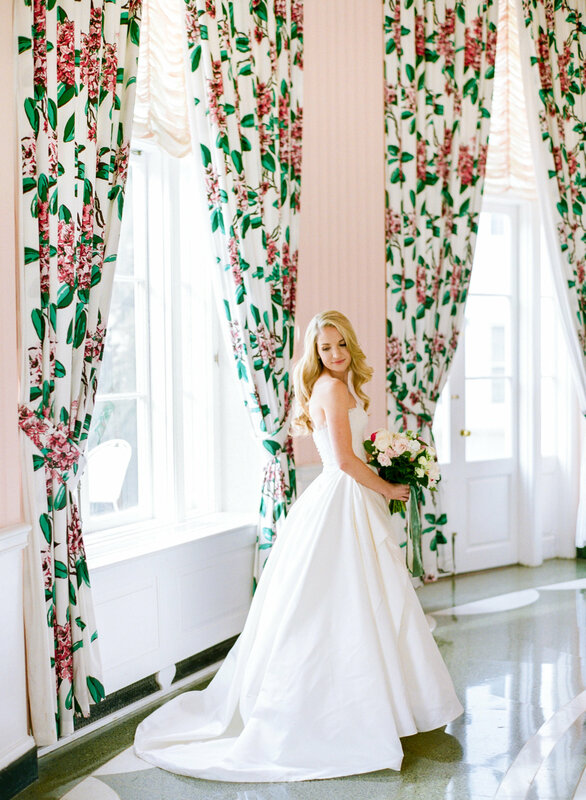 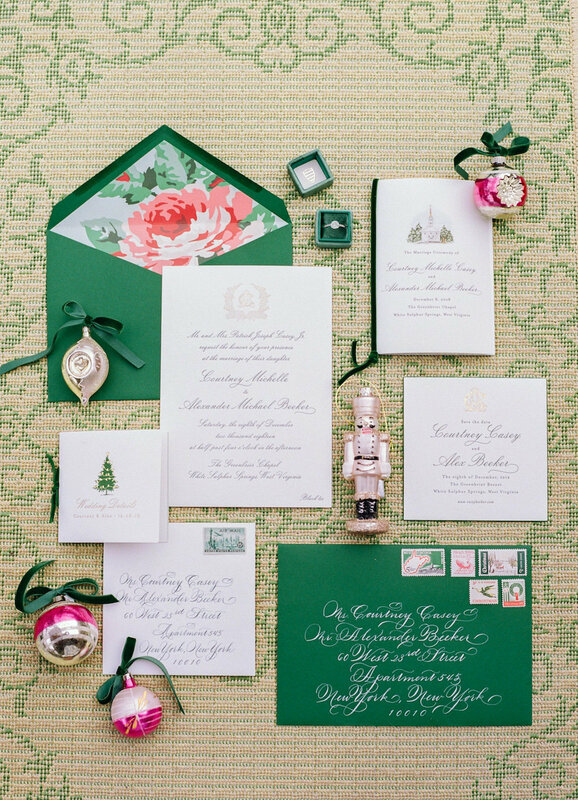 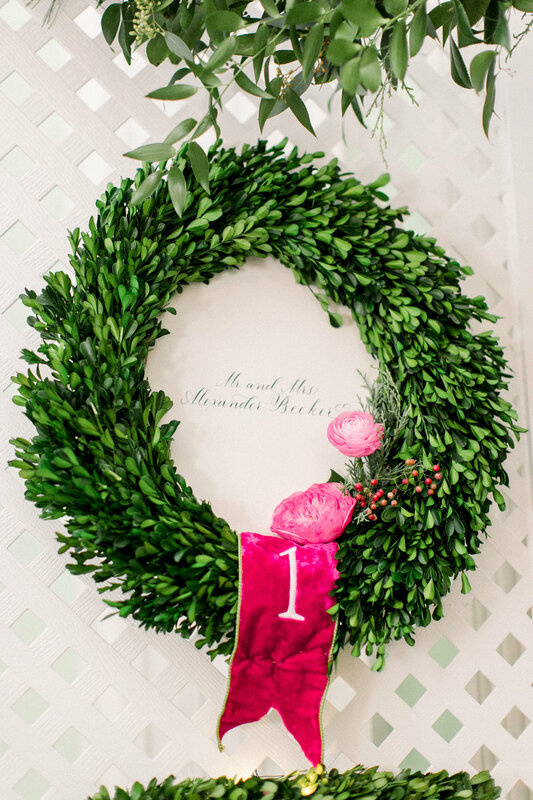 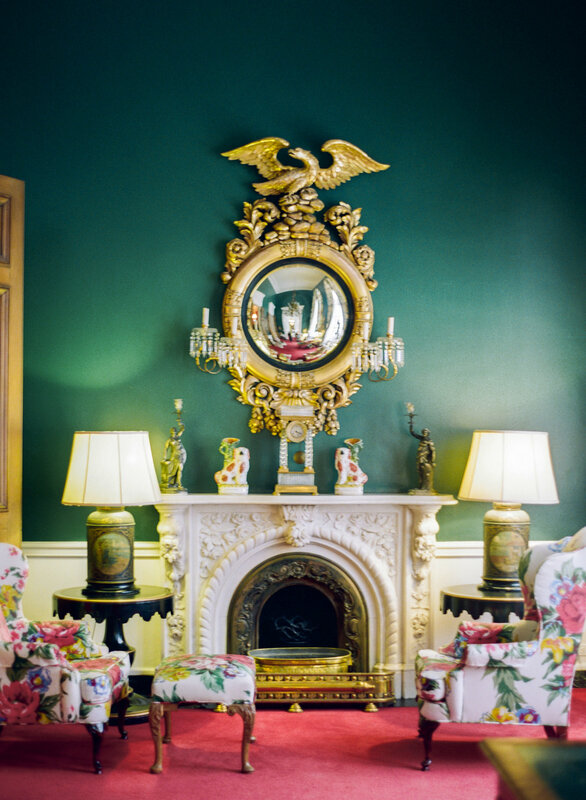 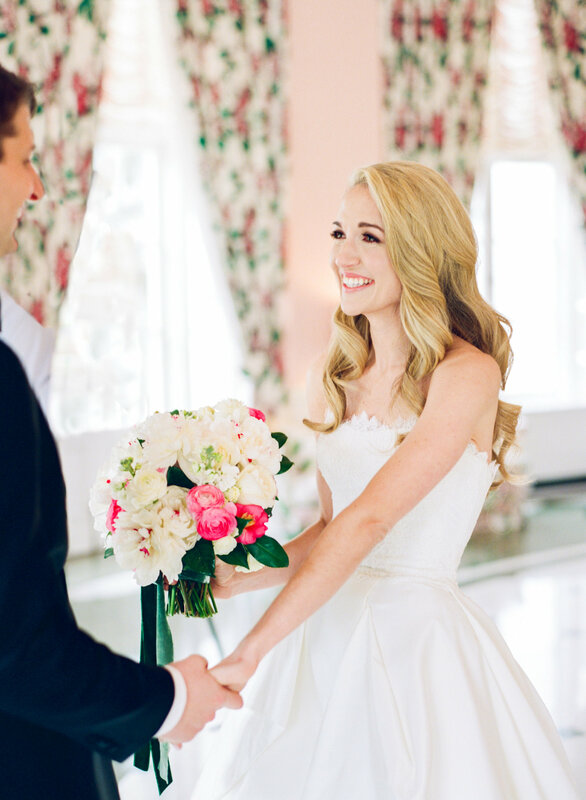 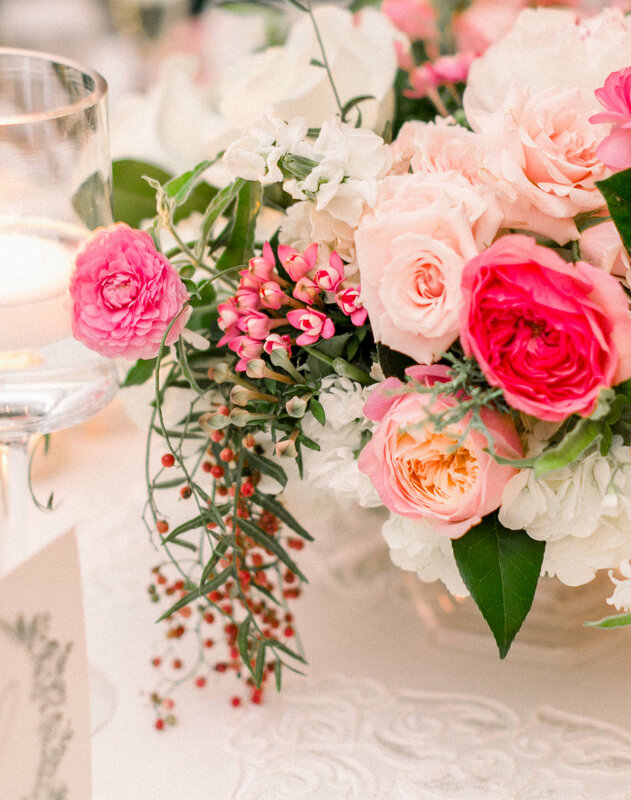 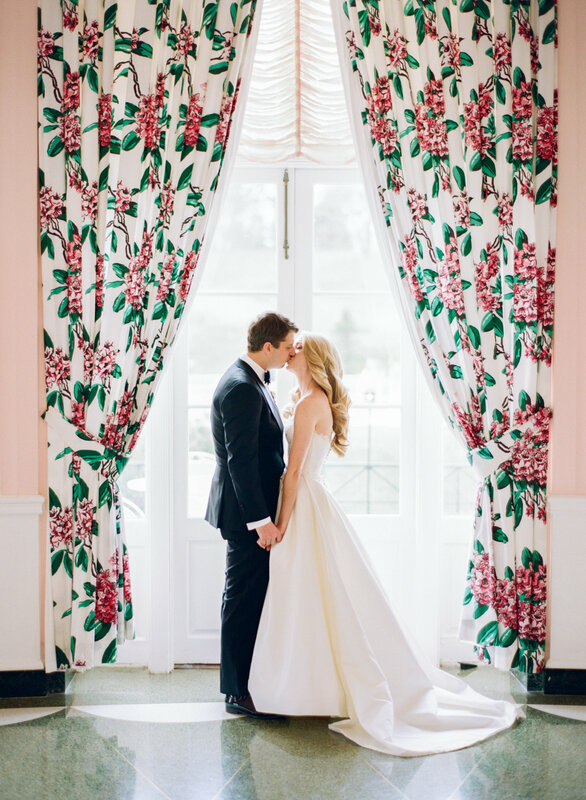 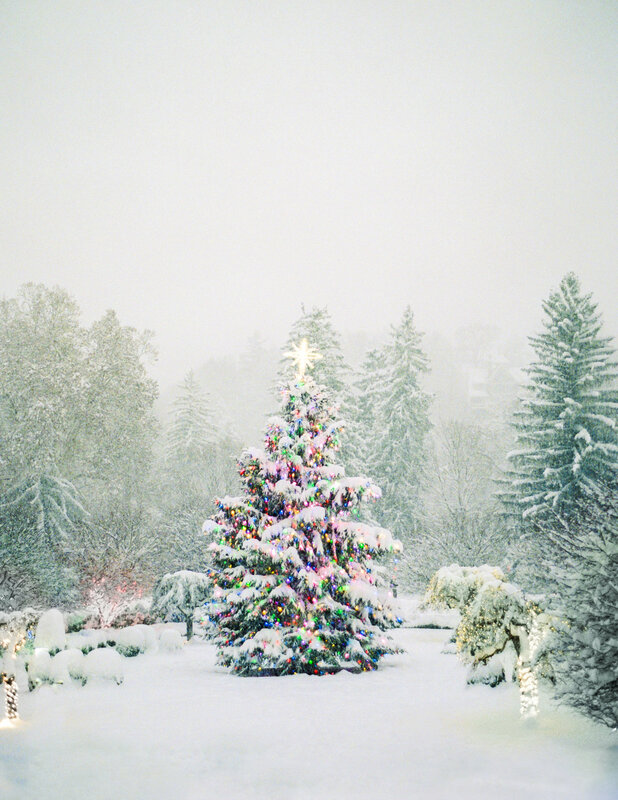 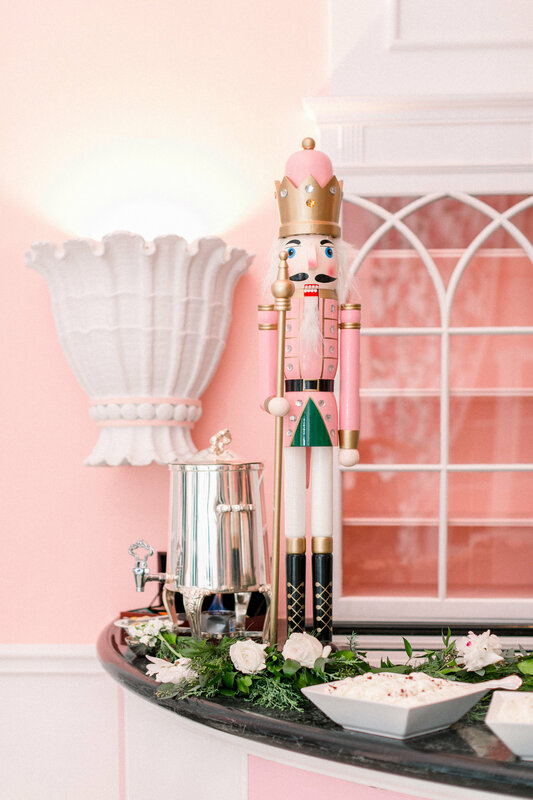 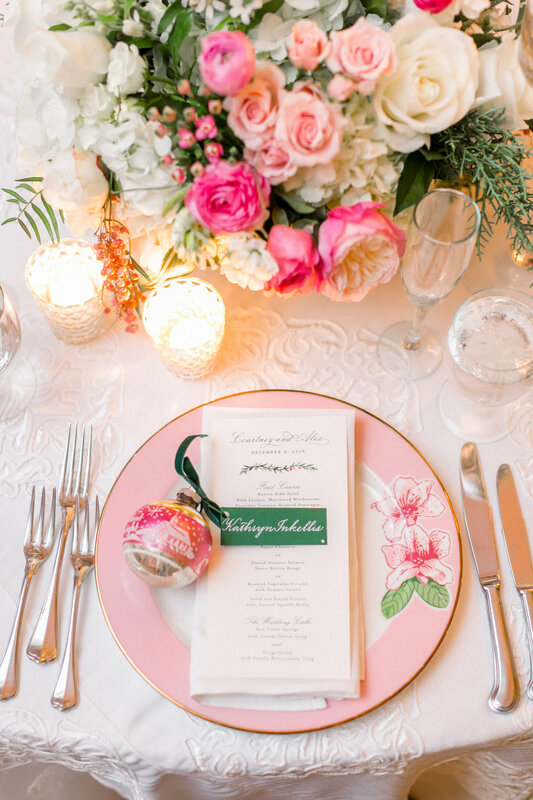 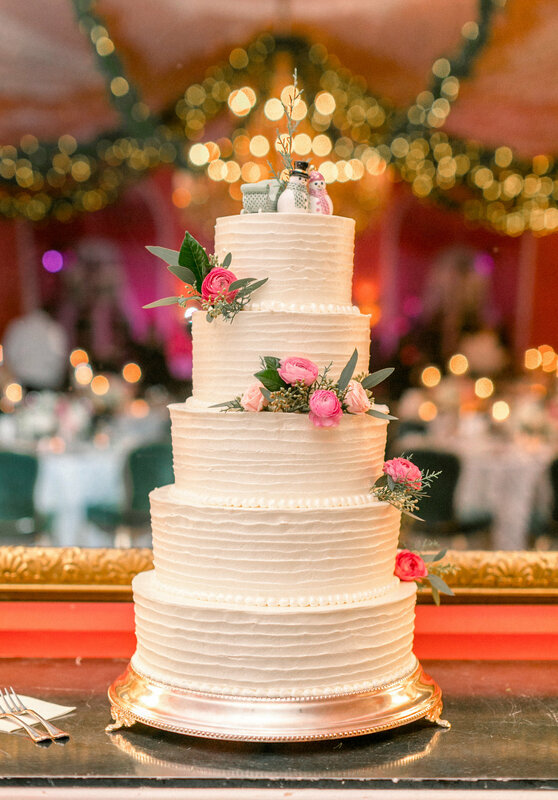 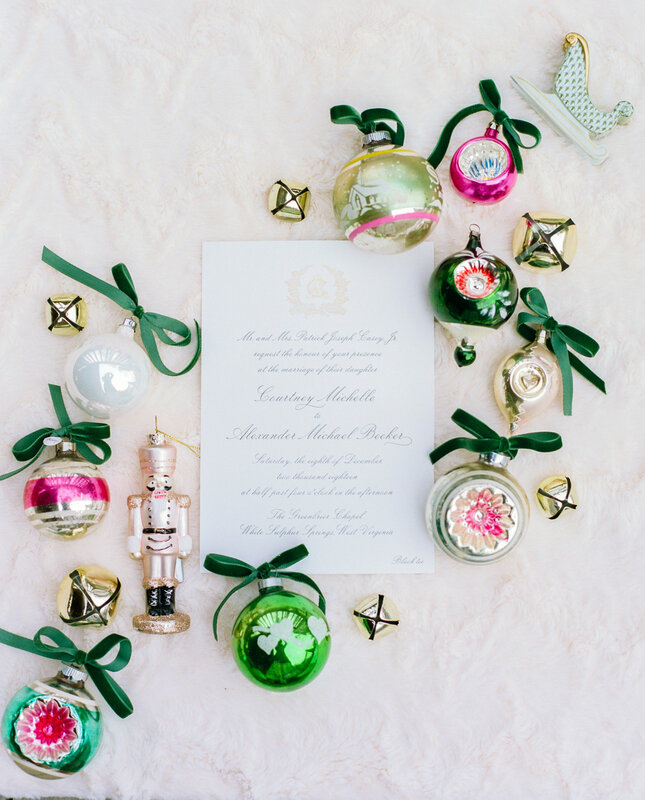 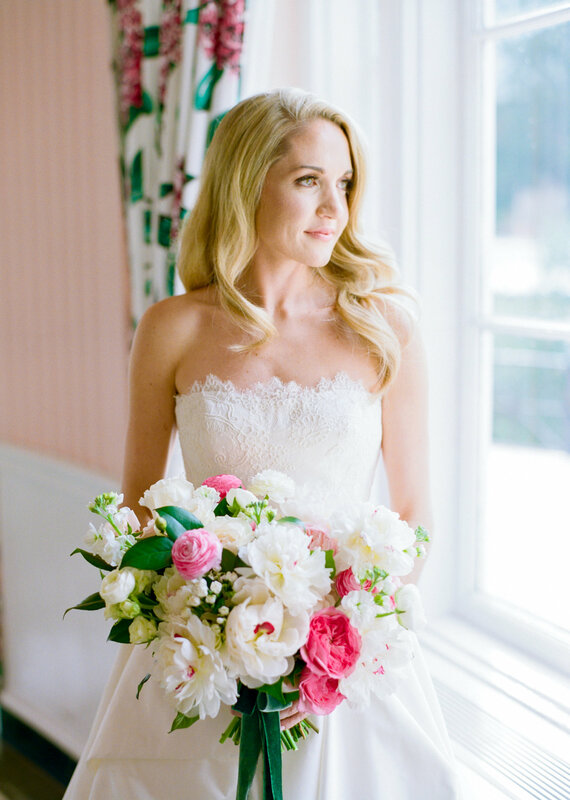 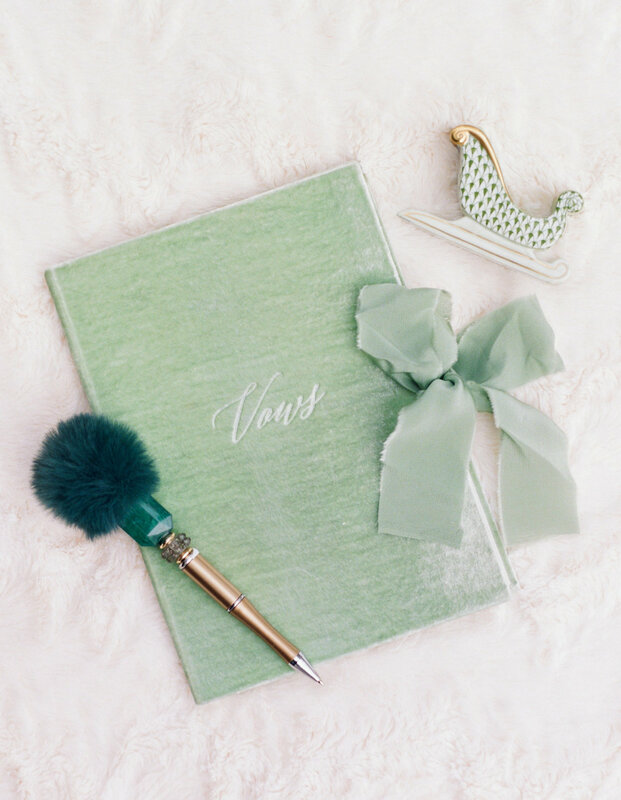 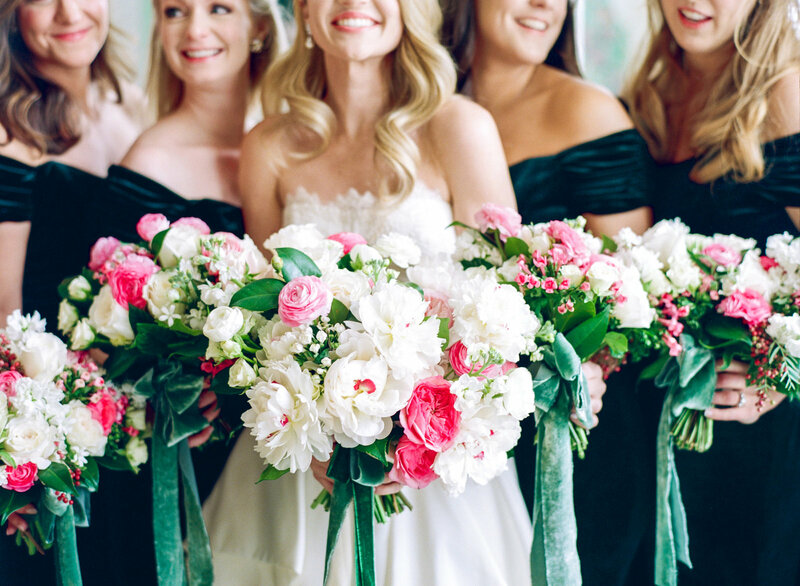 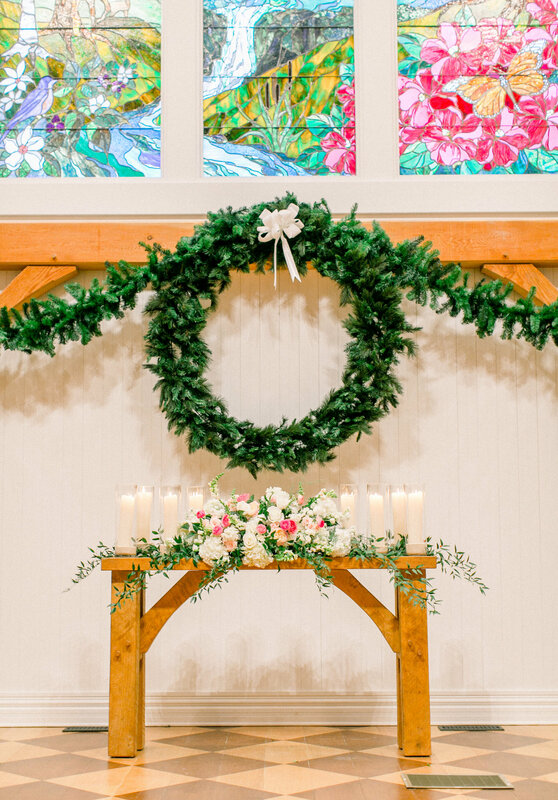 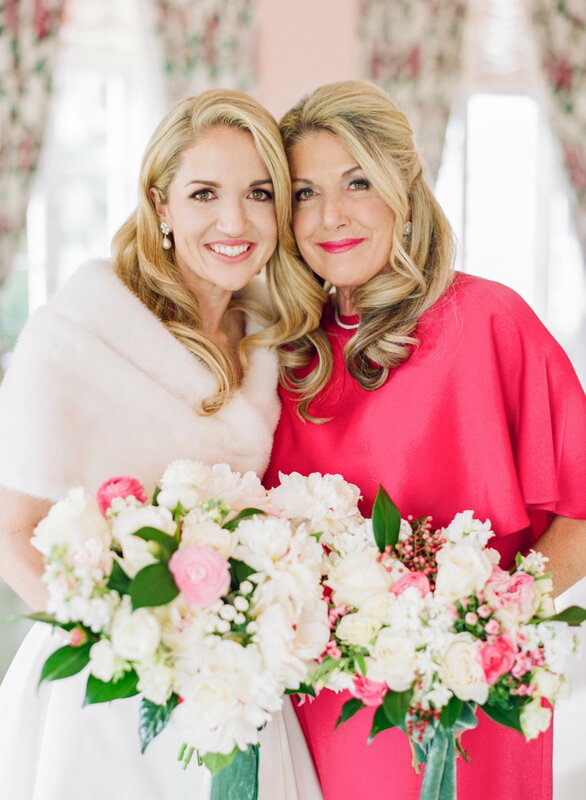 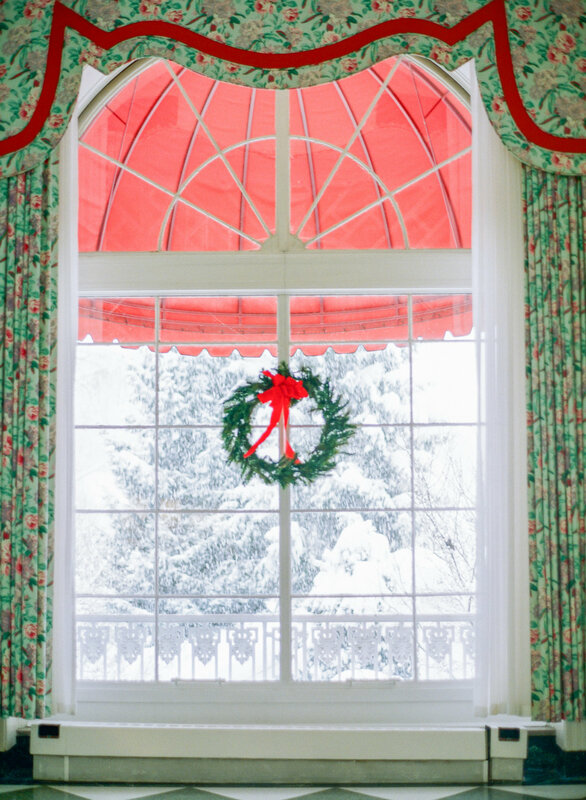 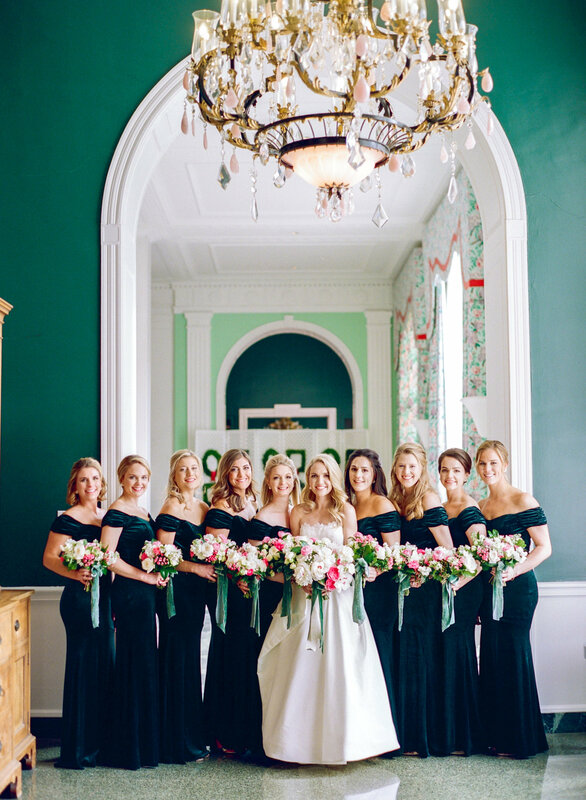 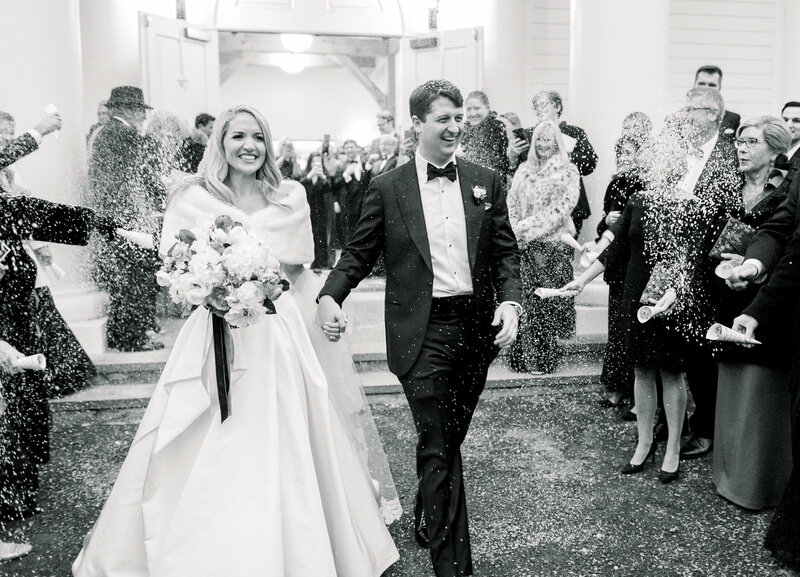 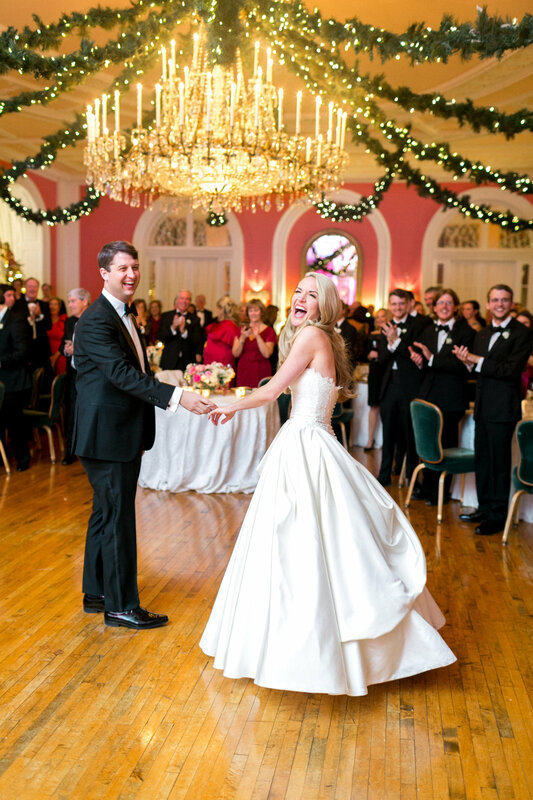 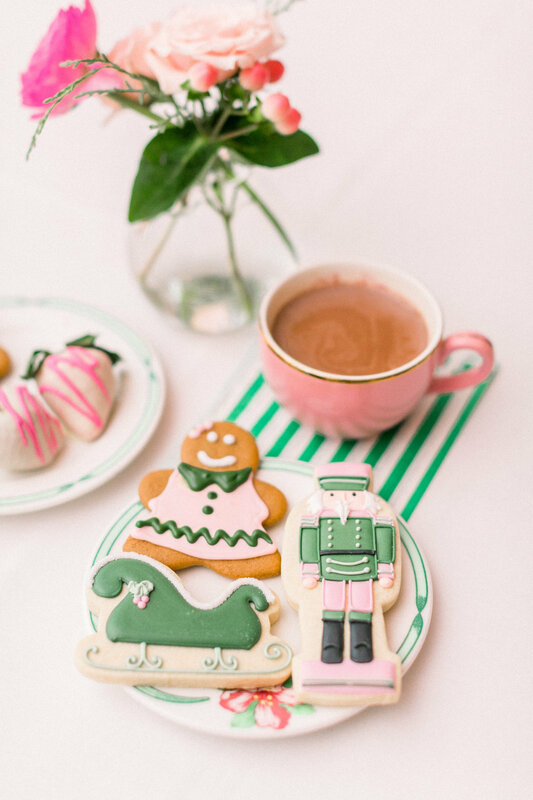 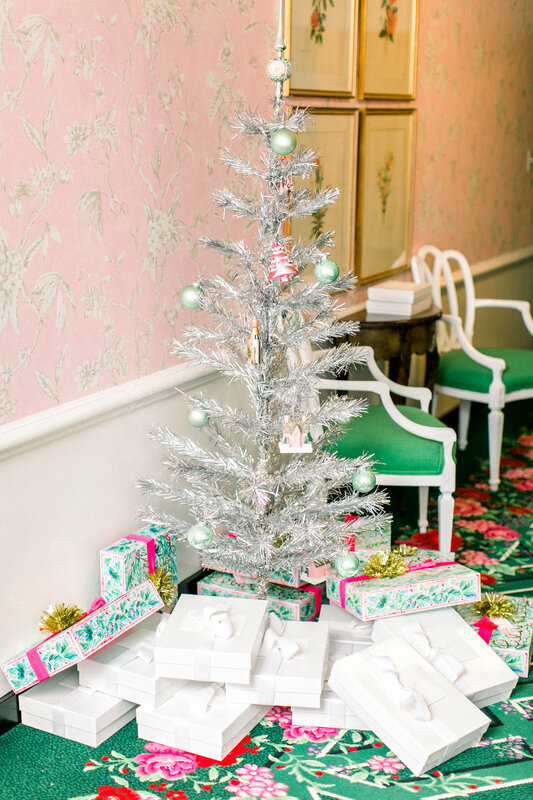 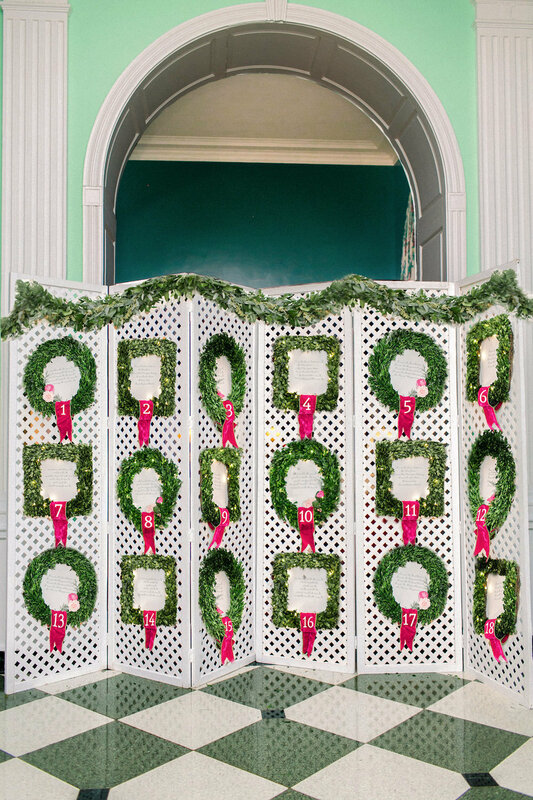 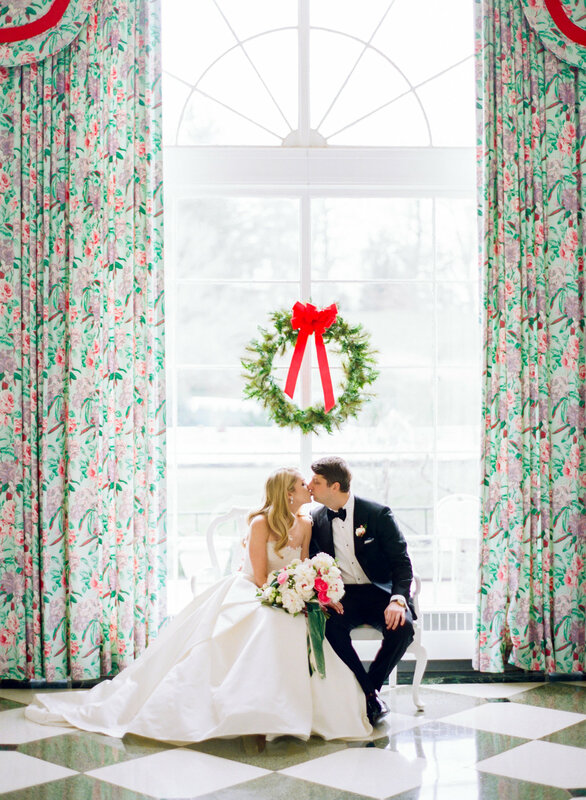 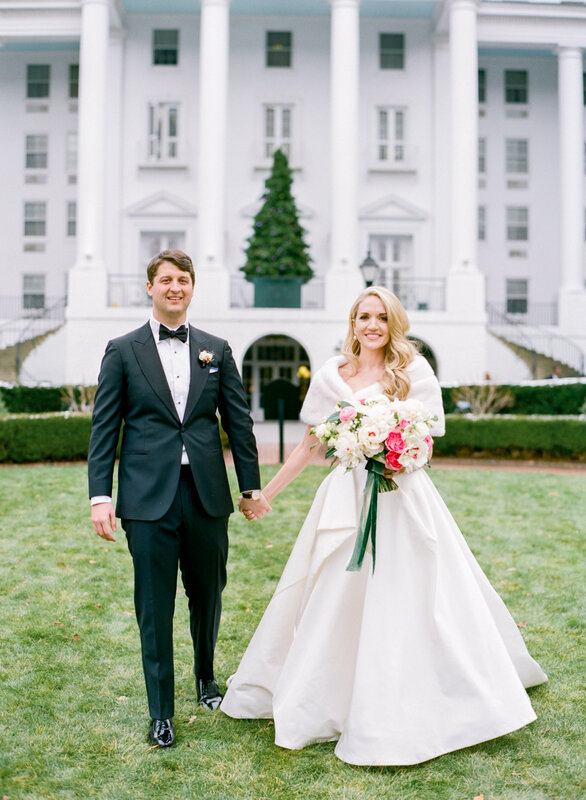 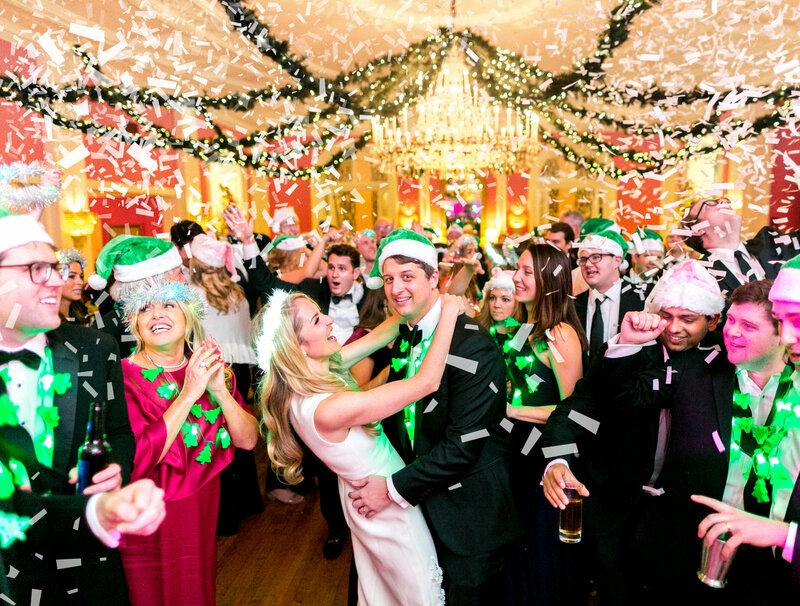 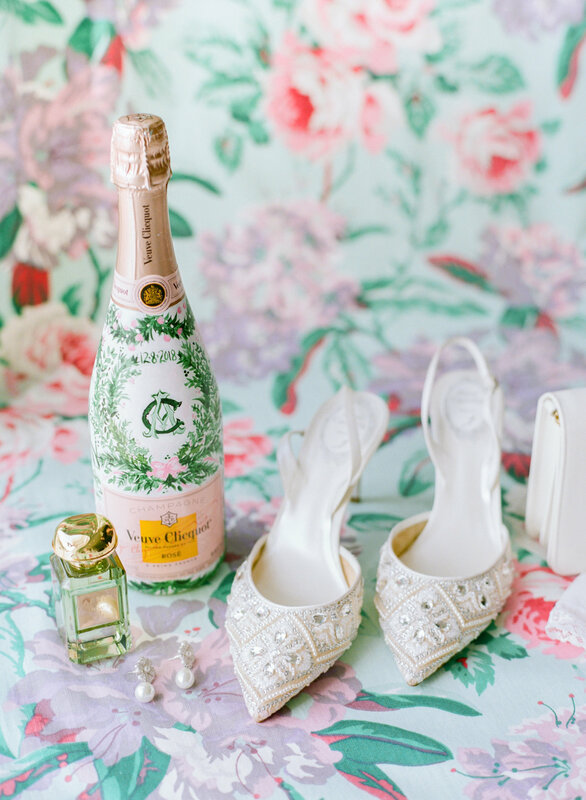 Bursting with Christmas details, this beautiful wedding at The Greenbrier was full of winter magic. 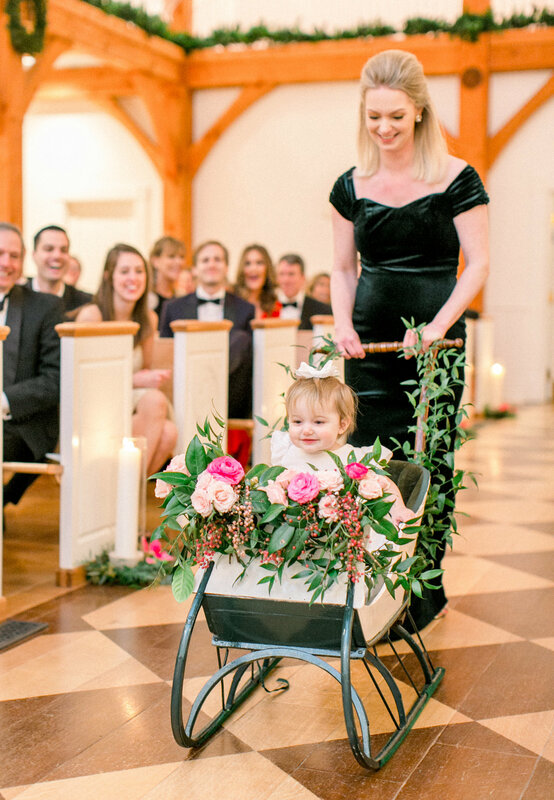 Wedding guests participated in winter activities such as ice skating and sleigh rides. 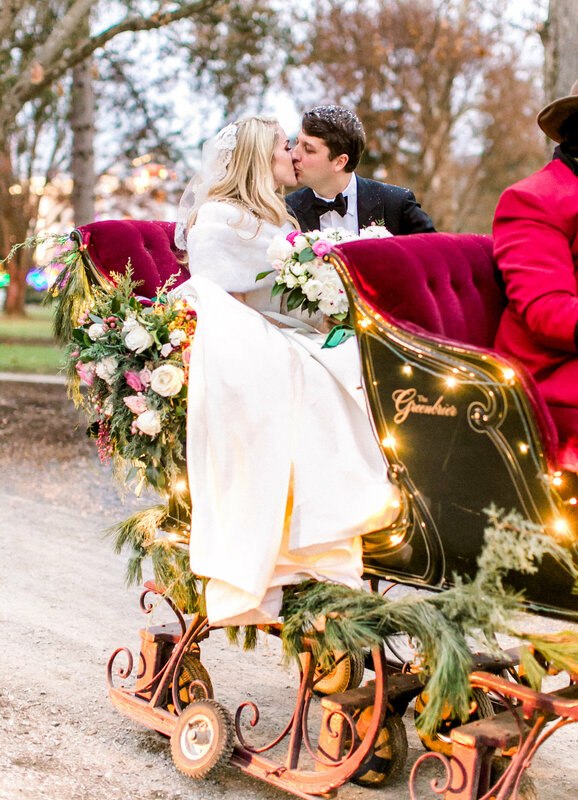 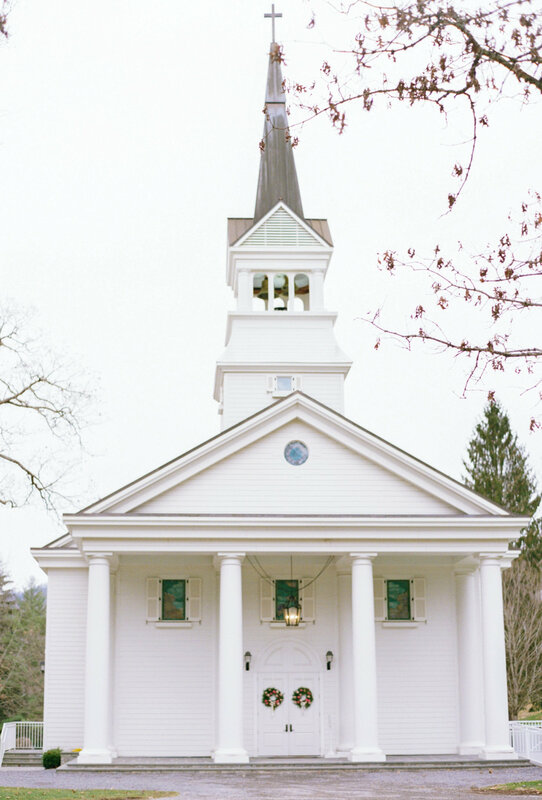  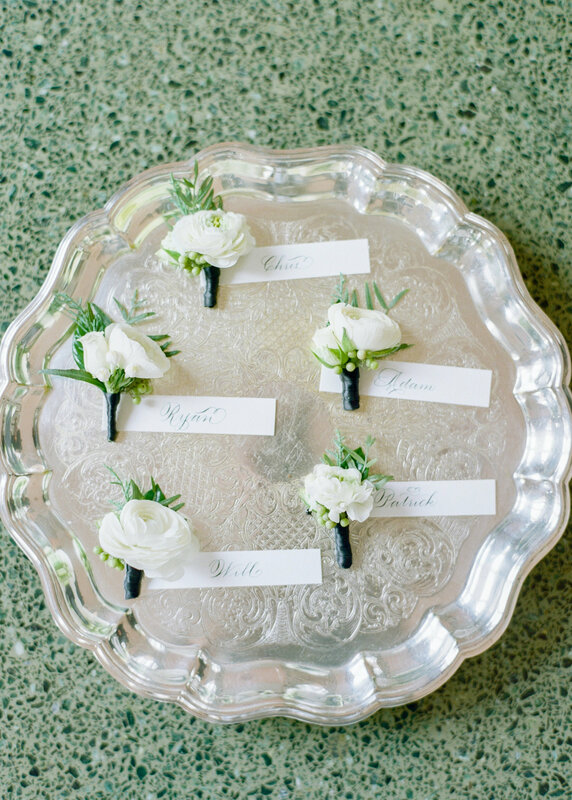 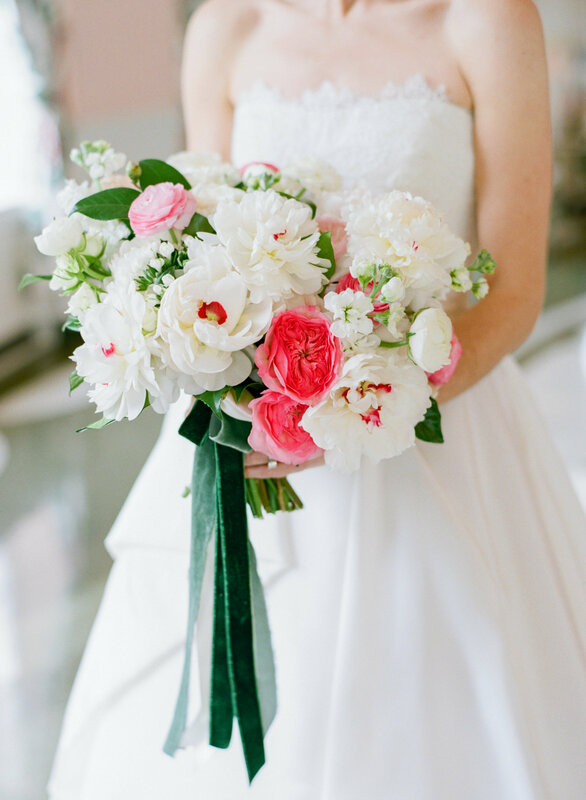 The flower girl rode down the aisle in a flower-adorned sleigh, and the newlyweds exited the chapel to a confetti of “snow” and the ringing of jingle bells, and rode off in a horse-drawn sleigh.